With the test series coming to a close in Sharjah, attention turns towards the start of the One Day internationals on the 11th of November. 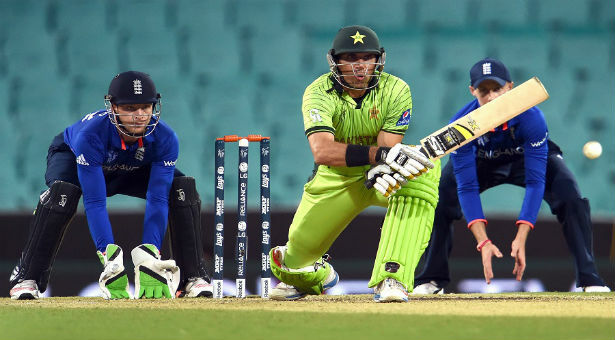 Of the previous 72 ODI encounters between the two sides, England have won 42 and lost 28. The ICC rank England and Pakistan 3rd and 4th respectively in their world standings. The test matches between the two have not been the most spectacular of affairs with a comfortable 2-0 Pakistan victory. A draw on a fruitless wicket in the second test was brightened by Cook’s individual batting performance. However, the series has been disappointing for the visitors and provided minimal cause for optimism. The third test provided more cause to be excited, with a closer game and a stronger challenge from England, followed by a spectacular collapse within two sessions to lose the match by 127 runs on the final day. It would seem that the positivity after England’s ashes victory this summer has provided a false account of the quality of the English test side, who looked well beaten in the first test against Pakistan and short of ideas in the following two. Overall, it is fair to say the test series has not done much to capture the imagination. However, the ODI squad has some wholesale changes from the test side and is hopefully a different prospect. With the start of the T20 Ram Slam tournament this weekend, England will be looking to give cricket fans a slice of their own excitement in the heat of the UAE. Mark Wood has flown home to consult a specialist regarding his ongoing ankle injury. His replacement is Yorkshire’s Liam Plunkett. Wood’s ankle was previously being managed by the England medical team until there was a break in the season that would allow his required six month recovery period. However, the injury has forced Wood to fly home unexpectedly. Plunkett was unused during the test series and was due to fly home himself before being drafted in to the ODI squad. Steven Finn is recovering from a foot injury. Ben Stokes is waiting to see if the injury to his collar bone will rule him out of the first ODI. Younis Khan makes a return to Pakistan’s ODI side after his last game at the 2015 world cup. Khan had a tournament to forget, scoring only 43 runs in three games, but he will be looking to silence his critics in the upcoming series. Younis has scored eight centuries in his last fifteen test matches, but has struggled for form in the one day version of the game, with just one century since 2008. He has played only 11 ODI’s since 2013, with little faith being shown in him by selectors. He has been recalled to add some solidarity to Pakistan’s middle order. Although the 37-year old has endured a rocky relationship with the Pakistan Cricket Board in recent times, the former Captain will look to convert his Test form to the limited over game. The uncapped spinner, Zafar Gohar, has been drafted in to replace the injured Sohail and Wasim. Bookmakers have placed Pakistan as favourites at 4/6 and England are priced at 6/5 for the first ODI game on the 11th November.